You know I never make promises but these will be coming up soon. Soonish? I'm running a giveaway over at Books, Tea & Me. You want to win a box of books right? ( (The Silent Wife, The Affairs of Others, Let Him Go, and The Girl You Left Behind) I might even throw a 5th book in the box, woot! I might go CRAZY and toss in a 6th. Enter! Enter I say! I hope you've had a great week, here's to another! 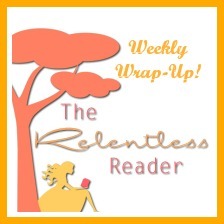 Read on my cute little bumblebees! Yup, for a little bit anyway. I'm heading out to do a bit of flea-marketing! Good luck with the decluttering! I still can't believe your insane progress on Les Mis, you are a total champ. I have my eye on that Wilson book, so I'm so excited that you're going to read it! I'm really enjoying the book a LOT, hence the good progress ;) The Wilson book is a chunkster too! I'm looking forward to it though! You're doing great with Les Mis! Love the cover of Hippie Boy. Thanks Joy :) I dig that cover too! You always read so much! Enjoy Les Misérables, you are brave to tackle that one. :D I'd put it off for years. It was high time! 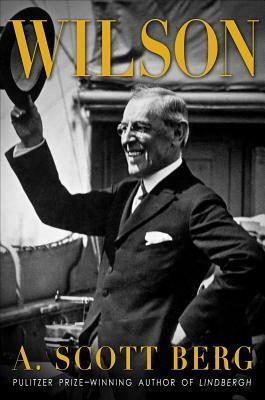 I'm looking forward to the Wilson, even though it's another big book at over 800 pages. ;) Thanks for the bows my friend! Awesome progress on Les Mis. I'm ridiculously terrified of that book. I know you don't make a practice of reading more than book at a time, but this may be a case where you should throw in a lighter read as a break from Les Mis. Then go back to it fresh. I had thought of doing that but I think I've hit the sweet spot ;) I'm over half way through, yahoo! If I hit a tough spot I might take a break though. Thanks :D Les Mis is going wonderfully! Not an entry, but a great idea for getting rid of books. I however got tired of some issues I encountered with my personal giveaways, so I stopped them. oh well. Happy shelf cleaning. Hippie Boy sounds really good!! I will have to come by for your review. Mormon themed books like that really intrigue me. And keep on trucking with Les Mis! Thanks! It's been an amazing ride so far. I'm over halfway done! Oh my gosh I'm not even a cat person but I LOVE LOVE that gif! And I've obvs entered the giveaway. I could watch that gif over and over. ;) It makes me smile like an idiot, lol. 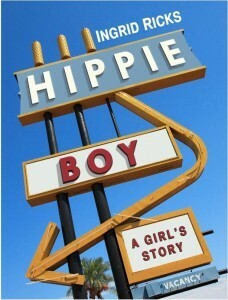 The cover of Hippie Boy looks really interesting. Are you reading Les Mes for the Classics Club? I dig the signage on that cover. I hope the insides are as cool ;) Yep, I'm reading it for the Classics Club. It's going well! Wonderful progress with Les Mis! I don't know if I could do it - 1463 pages?! I already think 800 pages is a lot. Isn't that cat the cutest?? ;) Thanks Ciska, same to you! Les Mis took me foreeeeeeeeeever to read. I'm so impressed with your progress! I'm plugging along nicely. It's a good read, thank goodness!! Les Miserables has its ups and downs, indeed. Specially when the author began to talk about the map of Paris, for example... and after 50 pages you just want to continue with the story, which seems to be nowhere!! Okay, so I'm not a big cat person but that gif is adorable!